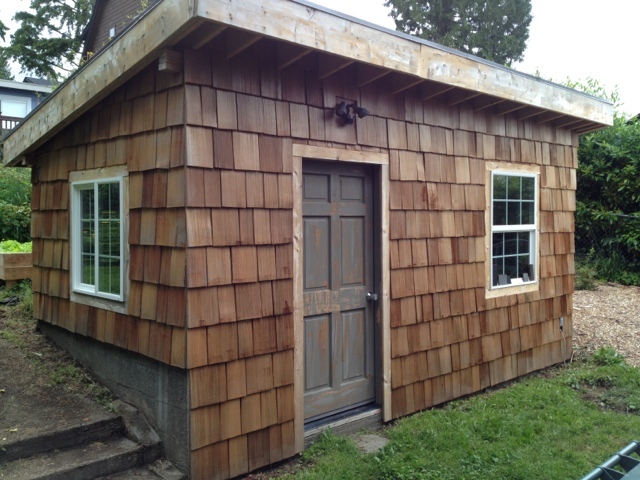 Chris did a major power-wash job on the garden shed the other day. Never underestimate the power of the washer, Peeps. That thing took strips of paint off the door. Fortunately, it also took most of the accumulated grime off as well. A good thing, considering that we're going to stain it in the near future. We'll keep you updated on developments. 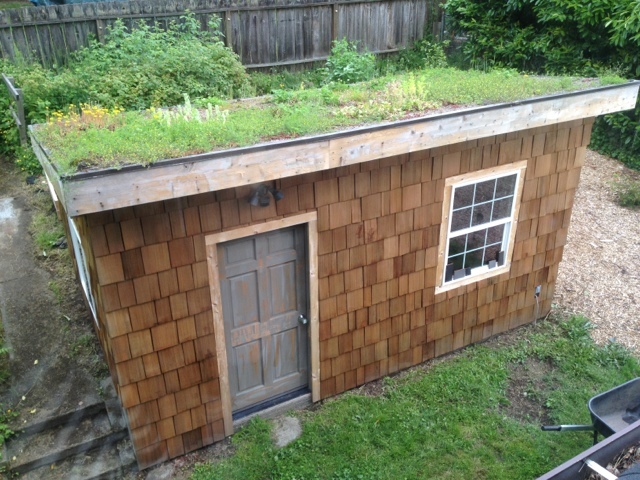 In somewhat related news, the living roof is having a banner year. The yellow sedums on the left are doing particularly well, which is a pleasant surprise, given that I just planted them a few months ago. They are transplants from mom's garden and they quickly became one of my favorite varieties. I should confess that some of that greenery is of the weedy persuasion. "Volunteers" if you will. I need to get up there and do a bit of clearing. It's so hard to keep our lawn alive in hot Texas that I'm ok with the weeds as long as they are about the same height as the rest of the lawn. At least they are green!